THE ANNUAL G.A.I.N. 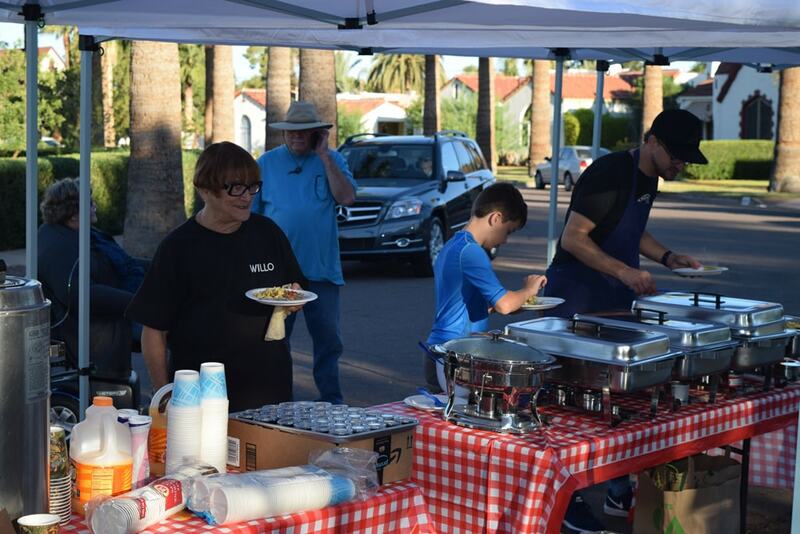 EVENT, (Getting Arizonans Involved in Neighborhoods) and the annual Willo Fall Yard Sale will take place Saturday, October 20th, 2018. Breakfast will be served at Walton Park, 3rd Avenue and Monte Vista/Holly featuring pancakes and breakfast burritos, along with coffee and juice. After a great breakfast, prepare to search for new treasures and great bargains throughout the neighborhood. The Willo yard sale is scheduled for Saturday, October 20, to coincide with our annual GAIN Event that same day. So, you will be able to fuel up with a delicious breakfast before your treasure hunt begins, or if you are out exploring very bright and early, you can celebrate finding some bargains and have breakfast after your shopping spree.Most yard sales will begin around 7:00 a.m. and conclude by 1:00 p.m. Hopefully it will be a beautiful fall morning to get out, say hello to neighbors, and potentially find some treasures.